York Country Club June, 2017. 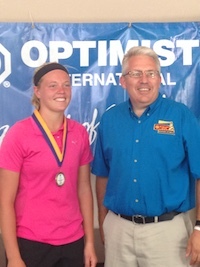 Kendra was the overall female winner tied in regulation and winning in a playoff. at PGA National Resort and Spa at Palm Beach, FL.